For you are leaving all the old behind and are entering a new era where your bodies will no longer function as they have been for eons. Your Pineal Glands are opening up to the universal energies of truth, and your body is beginning to process a mountainous amount of information that you are then to deliver to the rest of humanity. You are beginning to feel yourself immersed into the 5D structure more and more each day. Worry not, for everything that you are experiencing is but part of an ongoing process of shifting to another level of ascension. For yet another fraction is being removed from your psyche and from your bodies cleansing you and preparing you for the new world for the new day and so many of you have been experiencing the rise and fall of energies , many have began to see a variety of beings visiting them, many of you are experiencing lapses of time, extreme forgetfulness, and disconnection from the physical reality. The reason is that many of you are being withdrawn from your bodies, and are taken to various places to meet their higher selves, and to meet their soul families, in order to learn more and bring that wisdom back to earth where it will manifest in the words that you speak, and the actions you take in your life, where your high vibrations will begin to influence more and more those around you and like a sphere of light you will embrace those that come near you. All of your perceived fears will slowly begin to fade away, your perceived hurts and pains will recede and you will find yourself wondering why were you ever upset at this or that situation, for it will no longer matter to you, for you have graduated and have moved past the misunderstanding of human life, and are finally truly remembering your mission at hand. Onward and upwards as they say…..
How can I tell if it is my higher self or just a visualization? 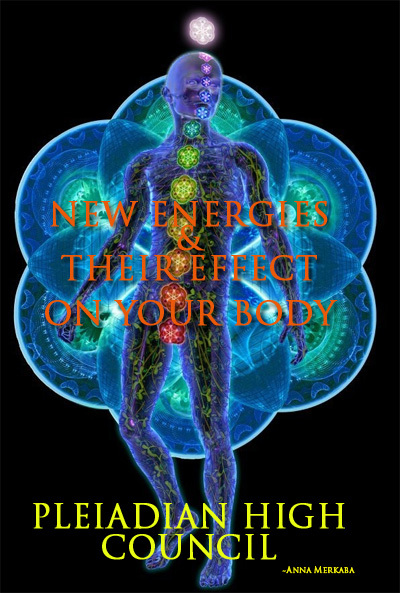 Can sending healing energy to people cause all of those symptoms as well? How do you recommend clearing and grounding myself? Perhaps this is why I have been so very tired and sleeping a great deal more than usual. Sometime, though, I have noticed that it is not always like the “sleep” I am familiar with. It is like I am there but not there at the same time, an in between sort of place. When you say that our bodies will no longer function as they have, what exactly does that mean? Are we becoming weaker physically. Will the speech, forgetfulness and expressing of thoughts diminish so much that our doctors may be concerned about a medical condition? Is this just temporary symptoms or permanent. Trillia, No no no.. this is just temporary should last a few more days and disappear. If you are experiencing something permanent or severe you need to seek the help of a health care professional, perhaps you may need some remedies etc., otherwise it should all go away. ❤ ❤ Don't be concerned. What a wonderful thing to have found this page. I have been remembering having wonderful conversations with someone that feels very close to me, and there is no on here on earth that I feel that way with. It seems to me that I have just been babbling about the mundane details of life here and hearing a lot of conversation about those things, but I’m sure it is so much more. Thank goodness there really is more than my earthly situation happening arouond me. I have seen myself with a new aura and being able to drop little bits off to those that need it. Just reading this article and knowing that I am connected to so much more is such a huge relief for me. All of my current concerns just dropped away because they truly don’t matter. I’ve been experiencing the above physical and mental symptoms for years, but just learned 20 minutes before seeing this article that gluten is responsible for the majority of them. I was even given the name of the book to help myself with; The Gluten Connection, by Rodale Books – in case it can help anyone else. Thank you, thank you, thank you for lightening my load and showing me the bigger picture. I believe there’s a typograph. error: should be ” .. affect your body…”… thanks.. very uplifting. I just found this site via Golden Age Lightworkers. I had an interesting thing happen about a week ago, it’s difficult to describe, but when I woke up, in my bed in the morning, I was in a swimming pool. Not a dream, as if I were really swimming. Could this be related to what you wrote about above? I’m also experiencing the fatigue, forgetfulness and sleep disturbances you have written about and others have confirmed. Other symptoms include dizziness and body vibration. Any info you can provide would be much appreciated! Thank you I have been having these symptoms and even saw a doctor. I was fine. The other day I went to nap because I was so tired and as I was about to fall asleep I felt light and tingly then got startled. I felt like I lifted up and then hit back down. I got up after that. So many things have been happening. Today a humming bird came up to my window and looked in for a few seconds. Butterflies are always around me too.